During the nesting period when I was pregnant with Jack I not only went through a major organization overhaul in my house but also found a million things around the house that needed my attention. What is it about being pregnant and finding never-ending to do list items? It’s definitely not because I feel better when I’m pregnant. Maybe it’s because I’m sober when I’m pregnant. When you’ve had a glass (or 2!) of pinot everything seems to look better, right?! I joke. Kind of. 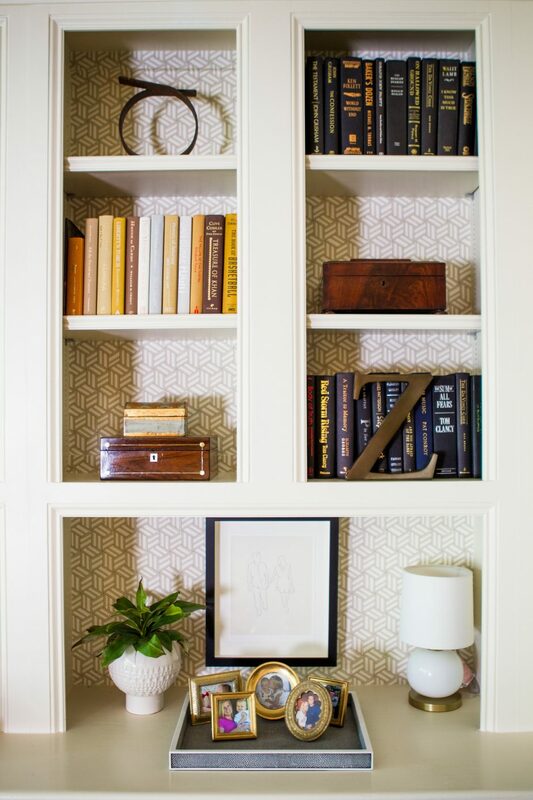 I tasked my friend and interior decorator guru, Alison Meyer for some book case inspiration. The last time I paid any attention to my book cases I was also very pregnant and moving into our new house. So my time and energy to making the book shelves awesome was very limited. Fast forward 4 years, it’s time for a few changes/updates. The current shelves are decent, but given the fact that these built in book cases take up the majority of wall space in the living room means they are worth focusing on improving. The first step….drumroll please….WALLPAPER! I’m kind of obsessed with wallpaper and this Miles Redd for Schumacher wallpaper is the perfect backdrop to add an element of depth to what was once a pretty one-note backdrop. I love this playful geometric pattern, which was actually hand drawn with a pen and magic marker. So rad! Here’s what I learned from the process. Less can be more. When I originally styled my book cases I found myself over crowding the space which looks cluttered. I like a layered look but not cluttered. Like Coco Chanel suggests, put on all of your jewelry and then take two pieces off before leaving the house. BOOKS! There are two trends I love for the actual books on book cases. Either color coordinating books or the newest trend actually turning all of the books around so that the pages face the front rather than the binding. I tried this but was craving color and it looked super neutral. 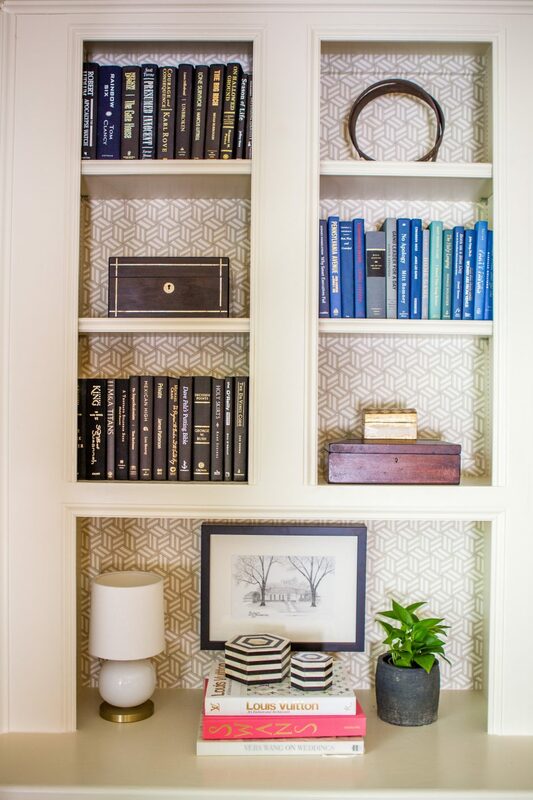 I think going this route is most effective when your book case is painted a bold color, then the white/ivory pages pop against the color. The books in my book cases are mostly my own, but to fill the entire space we had to supplement from Half Price Books, adding in necessary colors and making sure none of the titles too racy. Ha. One Kings Lane also has some great color coordinated books that you can buy in bundles here, here, and here. GREENS–My house is where plants come to die. I have a really hard timing keeping plants alive but am going to make a major effort with the new greens in the book cases because they truly add to the space. If you are an unintentional plant killer you could opt for fake. I may end up going that route when it’s all said and done. 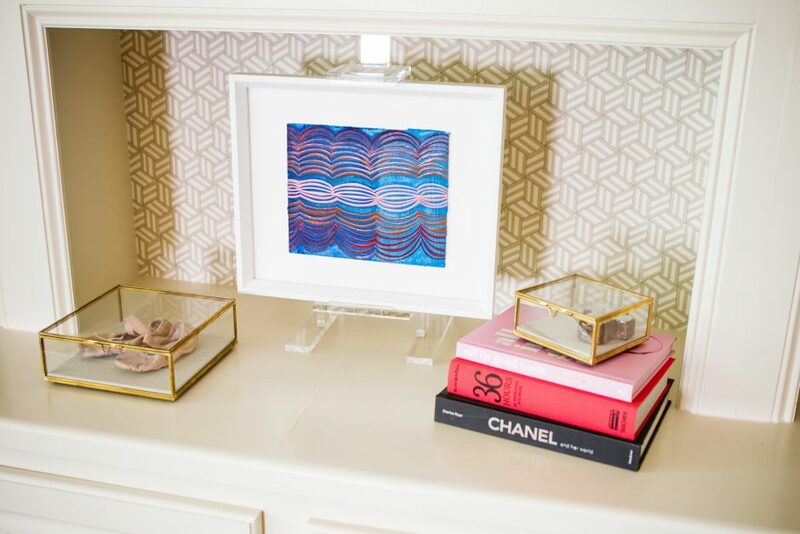 PERSONAL TOUCHES–I’m a big picture frame person and love grouping 3-5 photo frames in a single vignette. Add a faux shagreen tray for a nice layering element. I picked up this Z when Bret and I were first engaged and because of the sentimental value I’ll always find a home for it in our home. My first blog, And the bicycle is an ode to my first blog, High Heels and Handlebars. These glass shadow boxes are another great accessory. I can’t take credit for the the shadow box styling. Leighton actually put her her first ever ballet shoes inside unbeknownst to me. Then a friend was over and complimented me on the neat idea to put these tiny ballet shoe treasures on display. 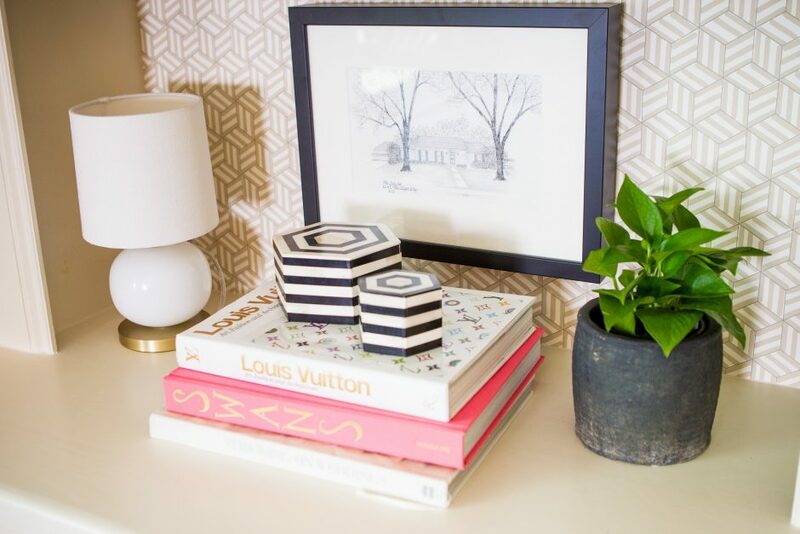 BOXES–Alison found these antique boxes and mixed in some inexpensive, black + white stripe boxes for a nice traditional meets modern mix, you can find similar ones here. LIGHTING–How fun are these two mini abacus lamps? They are cozy and cool and evoke an inviting mood to hang out a while, and even better, they are now on sale! ART–I chose three pieces for the book cases. Two black and white sketches and a contemporary piece by Mara Held from the McClain gallery in Houston. Both sketches are sentimental to me because one is of our first and only house so far and the other a sketch from an engagement photo. Alison had the genus idea to float the colorful contemporary art piece with this acrylic easel. 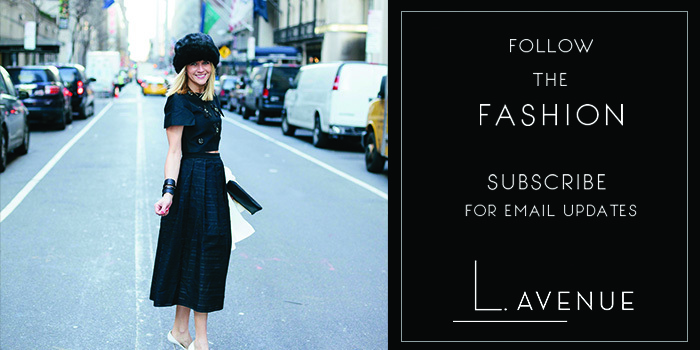 The one brand I can’t stop wearing….